My first bag pattern, if you don’t count smaller pouches. I’m pretty excited! I was looking for a classic duffel (duffle? hey, I looked and either way is okay!) pattern and couldn’t find one I really liked. So I decided to make my own and make it quilty. 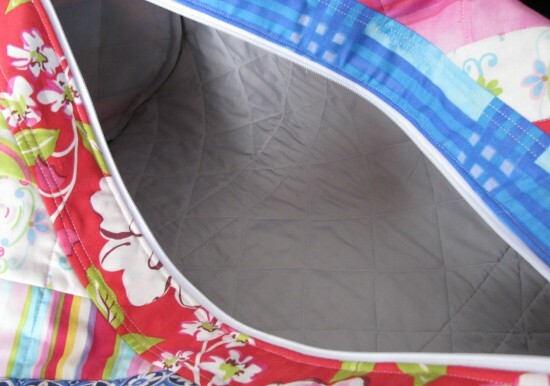 There are strips running along the zipper to give it a little something. The ribbon trim on the handles and ribbon pulls on the sides make me happy. The inside is quilted with raw edges hidden away. 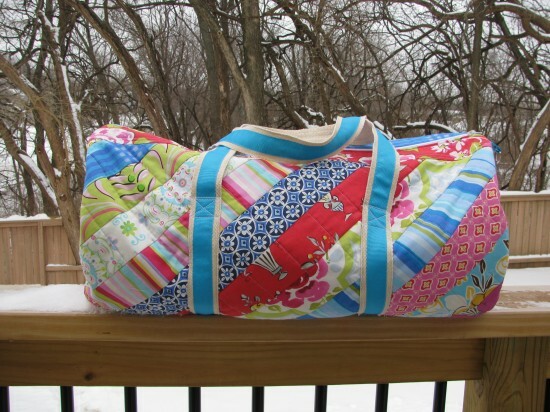 I have few other bag ideas in my head and think I’ll stick to naming them with a Kansas City theme. 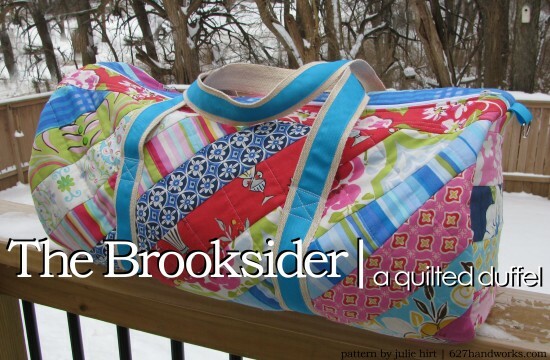 “Brookside” is a neighborhood, which I love, in Kansas City. 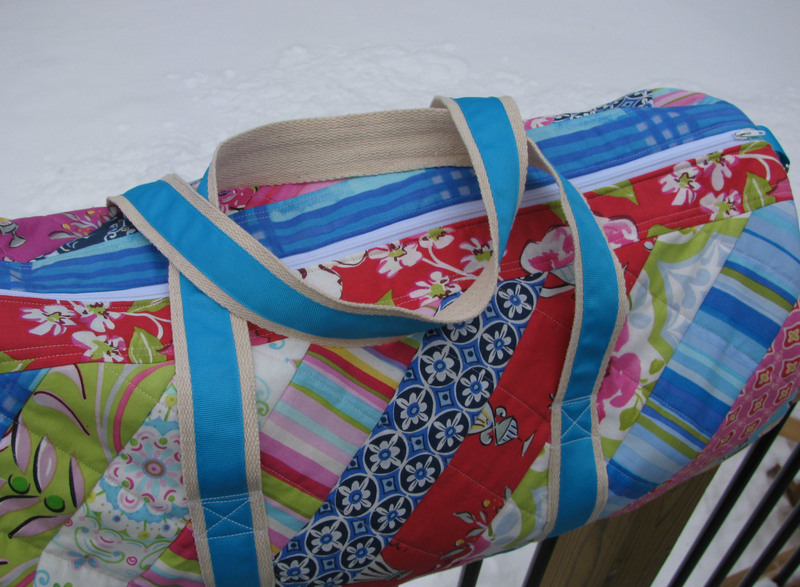 All in all, I’m really happy with the bag and the pattern. It feels solid and there is nothing flimsy about it. Measures 22.5″ x 10″. The pattern is heavily detailed with a picture for everything. My goal was to make it easy for a beginner to follow. If you need zippers (this calls for a 22″), Zipit has the largest, most affordable selection and you can save 15% at checkout using code: 627handworks. To enter here: Just leave me a comment. For a second entry share on Facebook and comment that you shared. 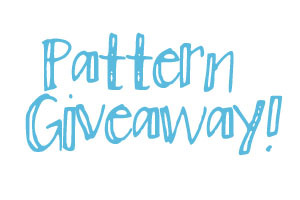 Instagram: Giveaway for two patterns. Follow me on Instagram (username is @juliehirt) and follow the directions from the image in my feed. 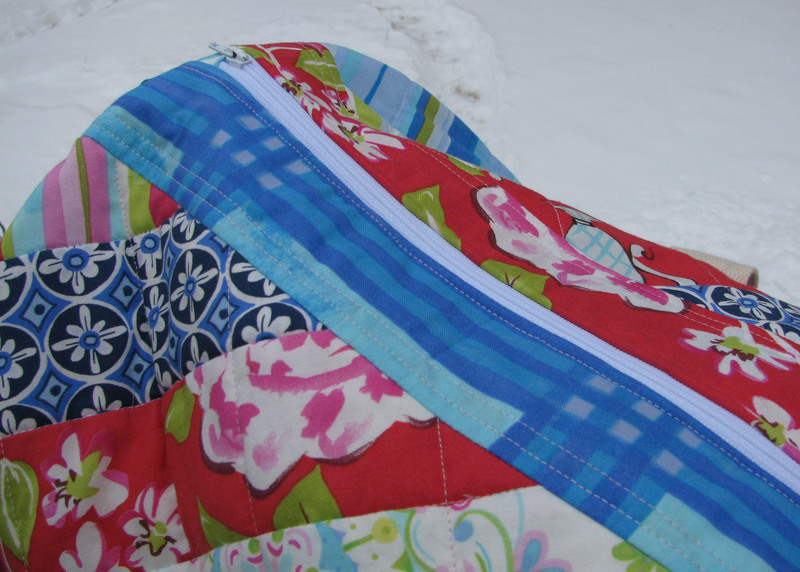 You can also purchase a copy of the pattern here or here.